Who put Machine Gun Kelly in this movie? Netflix's "Bird Box" features a remarkably star-studded cast for a Netflix original film. A film with Academy Award winner Sandra Bullock, Golden Globe winner Sarah Paulson, and Trevante Rhodes of "Moonlight" fame should be a recipe for success, but it falls prey to lesser casting choices and a strange flashback format. The biggest issue with "Bird Box" is the flashback format that is used to tell the story. The entire film jumps back and forth from present day to five-or-so years before. It's completely unnecessary and almost completely spoils the plot. There are only three characters in the present day scenes, which lets the audience know that the other nine characters are likely going to perish at some point. The film feels like they shot all the scenes with intent to tell a linear story and decided at the last minute to change up the order just for fun. The aforementioned Sandra Bullock is really the only saving grace of this film. 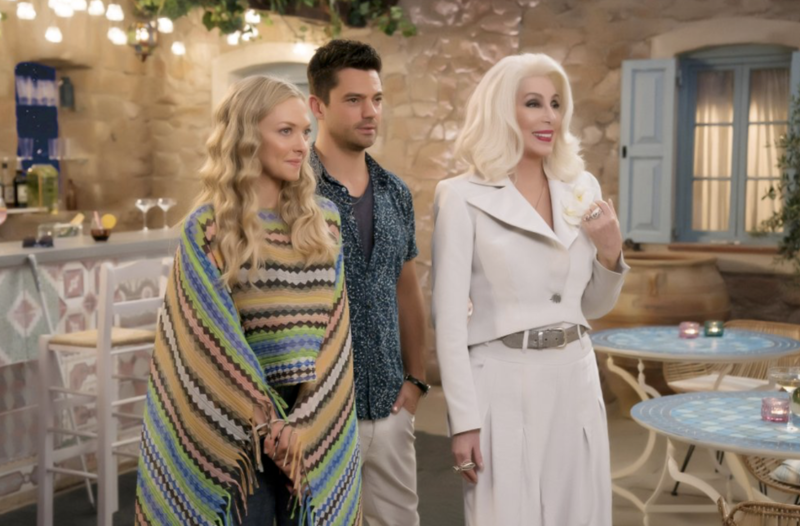 Her performance is excellent as usual, and there are other performances worth a nod such as that of relative newcomer Danielle McDonald. With that said, the majority of the cast leaves much to be desired, primarily Colson Baker, a rapper better known by stage name Machine Gun Kelly. His role is small and rather insignificant, but every time he's on screen the audience is completely removed from whatever building suspense the film had managed to achieve. Some of the little critical acclaim that the film has received has been praise for its originality, but it's not as original as it seems. A complaint from many disgruntled horror fans was the similarity of "Bird Box" to John Krasinki's "A Quiet Place." There are similar themes of sensory deprivation in both, but "Bird Box" shows a much more striking similarity to 2008 thriller "The Happening." Both films depict a group of people trying to survive an apocalypse brought on by an invisible entity that causes those who come in contact with it to commit suicide. For a Netflix film, "Bird Box" has received almost unprecedented success in terms of viewership. Netflix recently stated via Twitter that the film had been viewed by 40 million users in the first week of its release and 80 million users within its first month. With so much quality content on Netflix, it's a shame that such a train wreck of a film has gained so much traction and will likely lead to similar films being produced by the streaming giant. If your planning to watch a Netflix original film any time soon, scratch "Bird Box" off the list. Because we all know that orange skirt and those performance outfits were to DIE for! Classic "Mamma Mia" attire! This piece is seen many times throughout the movie and is super cute if you need a substitute for jeans one day. If looking for a similar pair make sure to check out H&M for some affordable ones! Even before this movie came out, jeans that flare at the bottom or have a different edge have been super trendy! 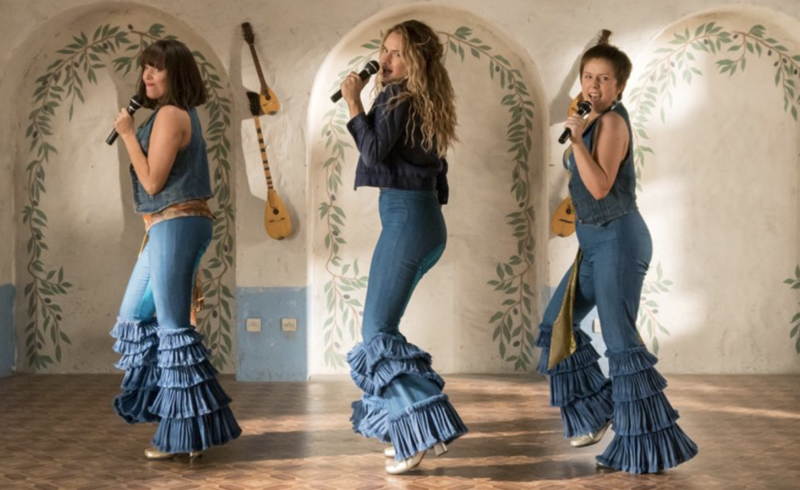 I found a pair at Free People that are basic flair jeans, because it was so hard to find jeans exactly like the Dynamos'! This skirt has been all the rage lately, countless amounts of posts have been about it so I know I needed to find a dupe! Check this one out on Etsy! Jumpsuits especially have been super in lately and stripes are always a classic! Here is a similar one from Lulu's but that you can wear and have it not be a costume. Ponchos are a super cute way to spice up an outfit but not having too much print! I found one similar to this one above. Printed skirts are super popular in this movie and right now, I found a yellow floral one at Urban that reminded me of this!